The device was used to track the teenager's speed, and will be used to fight a ticket that cited the teen traveling at almost 20 mph over the speed limit. Fort Collins, CO (PRWEB) October 31, 2007 -- 17 year old Shaun Malone was recently given a speeding ticket by a police officer whose radar gun determined his speed to be 62 miles per hour in a 45 mph zone. Usually, tickets like these are simply paid by the motorist, but this case (Citation and Court case # PET416346; Superior Court of California County of Sonoma Traffic Division) is different: the teenager had an RMT Rover tracking device from Rocky Mountain Tracking, Inc. installed in his car by his step-father and retired sheriff's lieutenant, Roger Rude. The data gathered by the global positioning device shows that the vehicle was traveling at a drastically different speed than that reported by the police officer. Rude contends that Shaun was driving at the posted speed limit of 45 MPH as recorded by the GPS and some sort of error occurred with the radar enforcement process. The police officer may have pulled his step-son over in lieu of another nearby vehicle that was traveling at the clocked speed of 62 miles per hour. Rude believes that whatever went wrong with the radar process is not as important as the fact revealed by the GPS RMT Rover tracking device that Shaun was travelling at 45 MPH, not the 62 MPH the police officer noted on the citation. This should be sufficient evidence to establish "reasonable doubt" in this case. The tracking device includes software that determines both the location and the speed of the vehicle, and in this particular case shows that the teen was traveling at the speed limit within 100 feet from the location where he was cited for speeding. The GPS tracking device installed by Rude was intended to monitor the speed of the teenager and decrease his risk of being in an accident caused by unsafe driving habits; however, neither Rude nor his step-son ever expected that it could provide pivotal evidence in his favor, proving that he was, in fact, driving at a safe speed. Rude and his step-son plan to use the software's speed log to argue that the police officer's radar gun inaccurately read the speed of Shaun's car, or more likely that the officer had tracked the speed of a different vehicle. Their case will hinge on the fact that the GPS data has no room for human error, whereas radar guns operated by police officers do. The fact is that even police officers with the best intentions can sometimes rely upon inaccurate data when writing tickets. Thanks to RM Tracking, motorists can now have the hard, statistical evidence they need to ensure that the outcome of the case is determined by indisputable facts rather than becoming a case of their word versus the radar gun's reading. The judge will make a ruling in this case sometime in November. The teen tracking device is a GPS device that tracks the location and speed of the vehicle it is placed on, promoting safer, more responsible driving habits. Teenagers particularly have a high incidence of traffic accidents. By ensuring that teenagers are obeying driving laws and using their vehicles responsibly, the GPS device decreases the risk of having an accident. For more information or to purchase a tracking device, visit RMTracking.com. LawDepot.com launches the newest in its line of real estate documents: the Deed of Reconveyance. Desert Hot Springs, CA (PRWEB) October 31, 2007 -- LawDepot.com expands its suite of automated real estate documents with the release of the Deed of Reconveyance form. Using LawDepot's step-by-step process, this new form allows users to create a document in minutes. A Deed of Reconveyance is a document that transfers the title of a property to the borrower (trustor) from the trustee (lender) to the borrower once the borrower has fully paid the debt secured by a Deed of Trust. A Deed of Reconveyance must be recorded with the County Recorder or Recorder of Deeds in order to clear the Deed of Trust from the property. If the trustee fails to record a satisfaction within the set time limits, the trustee may be responsible for damages as set out by statute. LawDepot's new form makes drafting a Deed of Reconveyance quick and inexpensive. An intuitive, fill-in-the-blanks process allows anyone to use the Deed of Reconveyance form with ease. It's faster and less expensive than hiring a legal professional to draft the same document. Having just paid off a significant debt, the last thing the borrower wants is to incur a large legal bill in order to clear the title of his or her property. LawDepot's Deed of Reconveyance form allows the borrower to clear his or her property without spending a large amount of money to create the document necessary to do so. In September nationally recognized tax attorney Roni Deutch and her law firm, Roni Lynn Deutch, A Professional Tax Corporation, successfully negotiated Installment Agreements with the IRS for client's collectively owing the IRS over $4 million. One of the firm's many successful resolutions was for a California resident who had owed the IRS $1.5 million; the firm was able to get him on a monthly repayment plan of only $147 per month. North Highlands, CA (PRWEB) October 31, 2007 -- In October 2007, tax lady Roni Deutch helped clients owing the IRS in aggregate over $4 million resolve their tax debts through monthly payments called Installment Agreements. "Finding out you owe back taxes to the IRS can be a scary thing," notes tax lady Roni Deutch. "People getting letters from the IRS claiming they owe thousands of dollars in back taxes probably don't think they have much hope. But by negotiating reasonable monthly payments these taxpayers won't be forced into bankruptcy and can focus on putting their lives back together and repaying their debts as best they can." In September 2007, Ms. Deutch and her law firm, Roni Lynn Deutch, A Professional Tax Corporation, represented Installment Agreement clients who owed in aggregate over $4 million to the IRS. On average, each client owed approximately $55,000.00. By negotiating with the IRS, Ms. Deutch and her law firm were able to get these clients on installment plans averaging only $446 per month. "Our nation's economy isn't in the same state it was ten years ago," claims Ms. Deutch. "Every day we hear new stories about record high home foreclosure rates across the country. When someone falls into debt and has to struggle to put food on the table, repaying Uncle Sam is probably their last priority. Fortunately, an Installment Agreement allows these taxpayers to get themselves back on track and repay the IRS through low, manageable monthly payments." Depending on a taxpayer's unique financial situation, and the amount of time left that the IRS has to collect a liability, an Installment Agreement may pay back all or part of the total back taxes owed. Fortunately, once an Installment Agreement is established the IRS will suspend all of their collection efforts and will refrain from sending any further notices or making phone calls about the debt. Installment agreements are only one of the various services that Roni Lynn Deutch, A Professional Tax Corporation offers. The firm has experienced tax lawyers specializing in tax debt relief through a variety of tax relief services including: offer in compromise, currently not collectible status, wage garnishment release, bank levy release, revenue officer assistance, payroll tax representation, tax account review, and full pay service. Millions of people recognize tax attorney Roni Deutch as television's "Tax Lady." She has been helping taxpayers nationwide resolve their tax liabilities for over sixteen years. As an industry leader, she has saved her clients tens of millions of dollars and has helped thousands of families settle their back taxes. Roni Lynn Deutch, A Professional Tax Corporation, is a nationally recognized law firm that has been helping clients find solutions to their back tax liabilities for over sixteen years. To find out more about the firm or its services, visit their website at RroniDeutch.com or call 1-888-TAX-LADY. To learn more about tax attorney Roni Deutch you can visit Roni's Blog or official Roni Deutch YouTube Channel. Outindex (www.outindex.com), the leading electronic discovery software company in Europe, today announced a new release of their flagship product, Outindex E-Discovery. Kennington, London (PRWEB) October 31, 2007 -- Outindex (www.outindex.com), the leading electronic discovery software company in Europe, today announced a new release of their flagship product, Outindex E-Discovery. This new version includes the ability to support multiple database platforms in order to increase the scalability of processing electronically stored information (ESI) and increasing the flexibility of deployment, thereby lowering costs. This makes OutIndex the only commercial electronic discovery application to support multiple databases. "We expanded our database platform support in response to client requests," said Nii Larnyoh, Founder of OutIndex. "If your company uses Oracle, but your electronic discovery system only supports Microsoft SQL Server, then you have doubled your expenses. Also, many vendors have been able to increase services margins by reducing the cost of their processing infrastructure. Open source software such as PostgreSQL and MySQL have been key contributors to this trend." In addition to the extended database support, OutIndex also supports virtually every popular compressed file formats in wide use. Export Native Files, TIFF or PDF images, and email archives files including Microsoft Outlook PST and Lotus Notes NSF files. For additional information about Outindex products, please contact the company on +44 (0)20 7840 5800. G&A Partners, a fully integrated Houston-based human resource (HR) and administrative services company, will host its newest webinar, "Myths and Facts of Social Security 'No Match' Letters," on Nov. 1. This webinar will explore the Department of Homeland Security's (DHS) new "No Match" regulations and differentiate myths from facts. Houston (PRWEB) October 31, 2007 -- G&A Partners, a fully integrated Houston-based human resource (HR) and administrative services company, will host its newest webinar, "Myths and Facts of Social Security 'No Match' Letters," on Nov. 1. This webinar will explore the Department of Homeland Security's (DHS) new "No Match" regulations and differentiate myths from facts. On Oct. 10, 2007, a federal judge temporarily halted the implementation of the DHS' new "No Match" regulations. Under the regulations, employers who receive "No Match" letters must take affirmative steps to resolve the issues that gave rise to the "No Match" letter or face possible civil and criminal liability. A "No Match" letter is issued when an employee's Social Security number does not match the employee's name in either the DHS' or the Social Security Administration's databases. "This webinar informs HR professionals about what to do if they receive a "No Match" letter and dispels many of the myths surrounding these letters," said Anthony Grijalva Jr., vice president of marketing for G&A Partners. "The information presented is critical for understanding how these new regulations could impact your business." G&A Partners is a Houston-based HR and administrative services company that manages human resources, benefits, payroll, accounting and risk management for growing businesses. G&A maintains offices in Houston, Dallas, San Antonio, Austin, College Station and Corpus Christi. For more information about the company, visit www.gnapartners.com. Consultwebs.com, Inc. announced today that it will become a CarbonFree™ business for one year; partnering with Carbonfund.org to reduce and offset its carbon footprint. Raleigh, NC (PRWEB) October 31, 2007 -- Consultwebs.com, Inc., consultwebs.com, announced today that it has become a CarbonFree™ business; partnering with Carbonfund.org to reduce and offset its carbon footprint. Carbonfund.org will offset the carbon emissions generated by Consultwebs.com, Inc. through the support of projects including reforestation and clean energy development that reduce carbon emissions in other areas. Consultwebs.com, Inc. made the decision to become CarbonFree™ after evaluating the emissions generated by business activity and realizing that many of the heaviest carbon culprits, such as business travel, simply couldn't be eliminated or reduced further. Company staff and management felt that environmental performance was too important not to take action. "Going carbon free makes so much sense for Consultwebs.com," said Consultwebs.com, Inc. president Dale Tincher. "Our employees share such a strong commitment to environmental concerns that working with Carbonfund.org was a natural step for the company to reflect our values." Consultwebs.com, Inc. will participate in the CarbonFree™ Program for one year, joining such companies as Dell, Orbitz, Discovery Communications and others. "One of the aspects we're most excited about," explained Lisa Vaughn, Vice President, "is how many other businesses are participating in this program. This is an opportunity to really spread the word and we hope even more organizations will get on board." Using state of the art 3D modeling software Seamless Motion Imagery (SMI), re-created an accurate and detailed reenactment for the Los Angeles County District Attorneys Office. Highlighting in real-time several angles and vantage points to show the prosecutions theory of evidence. Simi Valley, CA (PRWEB) October 31, 2007 -- SMI is the leader in technological advancements in 3D animatics for the Motion Picture Industry and real estate development. Providing high quality 3D storyboards, (Previz) and sales and marketing animations for the pre-sale of large real estate projects. SMI has been offering Crime Scene Re-creations to the legal community for years. SMI can create any environment and objects that are relative to the case and apply motion and physics to reconstruct the most detailed human and mechanical movement. With high quality accurate 3D imagery representations of evidence and theory, SMI is poised to be the industry leader in 3D technology. Seamless Motion Imagery, LLC has over 50 years of combined experience in the Motion Picture and Television Industry. 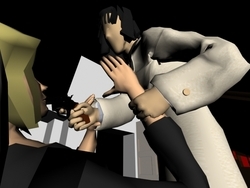 Founded in 2006, SMI provides a platform of high quality 3D animated virtual storytelling to the Motion Picture, Legal and Real Estate industries. Virtual storytelling is fast becoming a vital tool to present information in the business and Feature Film Industries. For more information visit http://www.smi3d.com/ or call 818 309 8640. &#039;The Diary of a Patient Man, a Father&#039;s Struggle - F4J&#38;reg; Limited Edition&#039; - Oprah&#039;s Next Book Club Selection? Author Bill Stoneking re-releases "The Diary of a Patient Man, A Father's Struggle" in a limited edition, focused on gaining attention to the problem fathers and their children face in family courts across the nation and the need for harsh accountability of judges. Chicago, IL (PRWEB) October 31, 2007 -- October 26th 2007 marked the one year anniversary of the release of Bill Stoneking's book, "The Diary of a Patient Man, A Father's Struggle" (LuLu Press, Oct. 26, 2006, ISBN: 978-1-4303-0198-1). As the past year has lapsed, exposure to the problems of domestic violence and child abuse that fathers and their children suffer in family court has brought positive response from readers, voters and families affected in Clay and Platte Counties in Missouri that wish to take action as well as significant responses from other jurisdictions across the United States. What's new inside? The 'Fathers-4-Justice® Limited Edition' has updated child abuse statistics from the United States Department of Health and Human Services. "These are sad numbers," Stoneking stated, quoting case law ... "One kind of parental misconduct that is of particular significance in child abuse cases is a parent's making false allegations of child abuse against the other parent. Such conduct itself constitutes child abuse" See Pallay v Pallay, 605 So2d 582 (Fla App 1992). "The Criminal system in enforcing and protecting father's and children's rights is also an embarrassment to the Justice System. With criminal charges of custody interference (Platte County Missouri, Case # 07AE-CR01097) dismissed against a mother as a civil misunderstanding, I was floored," Stoneking stated. "With felony child abuse charges filed against the mother by the sheriff's office, it appears that the Judge wasn't apprised of these charges (Platte County Sheriff's Report #1-07-002347) brought against the mother." Stoneking further asserted, "Failing to bring these matters to the attention of the court only leads to an escalation of violence where harm can be prevented, not reacted to." "After the initial release, my book has served to cast a brighter light on the well known corruption of the 'Good Old Boys Network' in Western Missouri, but my work is not done." Stoneking added, "Family court corruption is a problem and I'm not going to rest until justice is seen." A Champion in the making, after his first interview with 'Dads on the Air' in Sydney Australia January 2nd, 2007, Stoneking's book gained global exposure. His push for the recognition of the need to enforce child custody aggressively is also gaining momentum. Since his books initial release, Stoneking has joined the ranks of Fathers-4-Justice® and is gaining a large following in Clay, Jackson and Platte Counties in Missouri and Wyandotte and Johnson Counties in Kansas. "I decided that even though the initial release of my book has achieved some of the desired results it was intended to achieve, the marketing efforts need to be increased in order to get those fathers and families who are scared of the system to speak up as well as to stand up and unite for the best cause possible, our families," Stoneking added. "By readers buying the 'Fathers-4-Justice® Limited Edition', I am going to donate 10% of my net proceeds to Fathers-4-Justice® US as well as 10% of my net proceeds to Jan Brown's, The Domestic Abuse Helpline for Men and Women." "In stepping up the marketing on my book, I am approaching the television circuit, and the Queen of Daytime, Oprah," Stoneking said. "With the title of my book coming from Susan Matukas, formerly of DDB Marketing in Chicago and a mutual friend of mine and Oprah Winfrey's producer, this is the type of true story she embraces." As Stoneking put it, "Domestic violence is a societal issue, not a gender specific issue and I'm confident that I'll get her nod of approval on these works." Stoneking went on to say, "I was happy to find out that several of my readers are Oprah book club fans that have suggested my works be presented for her book club. As well, two former employees of the Platte County Missouri Prosecuting Attorney's office who are well aware of the subject matter of my book and the problems I've been subjected to in that jurisdiction suggested going on the show. Given that I'm here in Chicago and 30 minutes from Harpo Studios, and I was in the movie Paradise Lost, Paradise Found filmed in Oprah's restaurant, I have a great shot at being on her program." "Aside from addressing the broadcast media, I am also stepping up my efforts with State Legislators," Stoneking said. "I met on October 4th, 2007 with Missouri Representatives Jason Holsman, Paul LeVota and Mike Talboy along with Jackson County Sheriff's Candidate John Bullard in Kansas City where we addressed child custody and domestic violence issues. Repsentative Holsman has asked me for proposed legislation which I am now crafting. The legislative intent is to narrowly limit judge and prosecutor discretion when it comes to parental kidnapping and interference with custody including mandatory prosecution. I will seek to take away bully tactics from prosecutors who would rather provide child support threats against a father who is denied his children rather than ensure a father and child's rights are enforced, protected and that these violent crime victims are compensated by reductions and/or termination of child support." Stoneking further stated, "These representatives have invited me down to address the General Assembly in January when they reconvene and I will be there." On Sale Now. Order your copy of The Diary of a Patient Man, A Father's struggle, Fathers-4-Justice® Limited Edition today. This reduced price, Limited Edition book is available only through Lulu.com, a leader in print on demand self publishing, from now until March 31st, 2008. You can still obtain a copy of the inaugural copy on Lulu or through bookstores internationally. Stop the War on Fathers! Click Here To Join Fathers-4-Justice® Today. According to Americas Watchdog it's not a question of if there will be a mass casualty event as a result of counterfeit drugs coming from China or India, or counterfeit tobacco products coming from China; it's a question of when or how soon. The sixty four thousand dollar question is will the legitimate manufacturers wake up before its too late, or do they even care? Shareholders and or consumers will care after the fact. But by then, it will be too late for the consumer and the manufacturers' brand name will be radioactive. (PRWEB) October 31, 2007 -- After a 12 month long investigation into counterfeit pharmaceuticals and tobacco products Americas Watchdog launched Global Piracy & Counterfeiting Consultants as a way to address the issue of global counterfeiting and piracy( http://prweb.com/releases/2007/10/http://prweb.com/releases/2007/10/Http://GP-CC.Com ). Within the last few months public attention has been focused on China and India for making toys with lead based paint, or for running "sweat shops". According to Americas Watchdog; "while a tricycle painted with lead based paint is horrible, and Indian or Chinese sweat shops are reprehensible, what's it going to be like when 5000 US males die some weekend because the counterfeit Chinese erectile dysfunction (ED) drug they purchased on the Internet was poisonous"? Recent figures indicate that counterfeiting pharmaceuticals is a 75 billion dollar a year global business and growing. Thats 75 billion dollars lost to the shareholders of the largest pharmaceutical companies on earth. In some continents like Africa, at least 40% to 50% of the entire pharmaceutical market is counterfeit. The President of the Global Piracy & Counterfeiting Consultants accesses the situation like this; "perhaps no one cares about people dying from counterfeit pharmaceuticals in Africa, but this will change when individuals start dying in large numbers in Los Angeles, New York, London or Tokyo". He went on to say; "great companies like Microsoft go after counterfeiters right down to the street corner vendors". Americas Watchdog commends Microsoft for its vigilance. The best Americas Watchdog has seen so far from drug makers is repackaging ideas or coding that may be years and years away from implementation. "In the mean time how many people die from counterfeit drugs, and what is being done about it"? According to Americas Watchdog the answers are; "who knows" and, "not much". Tobacco is not much better. According to research data, two Chinese provinces account for much of the worlds 200,000,000,000 counterfeit cigarettes each year. That is enough cigarettes to give every man, woman and child in the US 34 packs of free cigarettes. This costs the tobacco industry & their shareholders billions of dollars each year. This mentions nothing of the fact that Chinese counterfeit cigarettes might also be very deadly. Chinese counterfeit cigarettes have been known to contain DDT, plastic packing parts, as well as a wide assortment of other banned pesticides. Why China and India? Americas Watchdog says, "there is a wild west atmosphere in China and India, where basically anything goes. Historic rivals; both countries want to have the worlds largest economies, both have growing military capabilities, and in both countries, the governments seem to look the other way, when it relates to criminal activities; provided the activity is good for their economy's". "Unlike the Japanese, who pride themselves on the quality of their products, the Chinese and Indian business cultures seem to be, make a buck today, because who cares about tomorrow." As alarming, Americas Watchdog is inclined to think that India & China will soon be joined by Central & South America along with former Soviet Block Countries as major players in counterfeiting drugs and tobacco. (Start thinking of a future where smugglers are not running cocaine across the US border with Mexico; they are running ED pills or untaxed counterfeit cigarettes instead). The reason is simple; " in many cases, there is more money in counterfeit drugs or cigarettes than there is in cocaine or heroin." Americas Watchdog receives about 20 to 50 telephone calls per day from call centers in India or Central America selling what they presume to be counterfeit drugs. Americas Watchdog believes that Russian or Chinese organized crime run most of the larger global counterfeiting operations. The most amazing discovery so far by Americas Watchdog has been corporate ignorance related to the fact that pharmaceutical companies or big tobacco companies are losing billions each year to counterfeiters, and the shareholders of these companies are being taken to the cleaners. "Perhaps ignorance is bliss for some corporations, but this will not be the case or excuse for legitimate drug manufacturers or legitimate cigarette makers when the knock offs of their products start killing people in the US or Europe". Saying that; " but we were waiting for US law enforcement to show up", will not be an excuse either. In 2005 US federal law enforcement seized counterfeit drugs valued at about ten million US dollars. In the estimation of Americas Watchdog, "that's less than a fraction of 1%, of the counterfeit drugs that actually came into the US" (mostly via the US mail or over night courier services). If you are a pharmaceutical company or a tobacco company, a shareholder of a company that is being pillaged by counterfeiters, or a law firm interested in global counterfeiting, and you would like to learn more about effective measures aimed at trying to stop global counterfeiting, please visit the Global Piracy & Counterfeit Consultants web site ( http://prweb.com/releases/2007/10/http://prweb.com/releases/2007/10/Http://GP-CC.Com ) and let them know who you are. According to Americas Watchdog; "its time to take the gloves off, and go after this extremely serious world wide problem. There will be no second place for executives that fail to act, there will be no acceptable excuses when the disaster comes, the time to act is now." The Global Piracy & Counterfeiting Consultants was created by Americas Watchdog as an effective way to protect consumers worldwide and at the same time protect the shareholders of company's whose products are being counterfeited. Consumer protection and protecting shareholders in the opinion of Americas Watchdog, "is a win for everyone". Carlisle, PA (PRWEB) October 31, 2007 -- Managed data backup solution provider, BitLeap, LLC, has completed a major refresh of its core backup technology and online customer control panel interface. This update to BitLeap's existing technology and customer interface lays the groundwork for future releases of several data backup and recovery product extensions currently in development. In addition to preparing for these upcoming releases, this update includes the following feature upgrades. The web-based customer control panel displays configuration, status and data replication information in a simplified and clear layout. This will improve and further simplify configuration and maintenance of backup services for BitLeap's customers. BitLeap's backup system now enables customers to specify different backup schedules for various areas of their data. This enhancement will help administrators manage the differing backup requirements of complex data. The detailed reporting section will now display in-progress information for backup tasks currently running. Once data is deleted from the original source, customers often request different retention handling for it. This new feature will allow BitLeap's customers to specify unique retention policies for data that has been removed from the original source. The retention policy enhancement integrates directly into BitLeap's current time-based data retention capabilities that can be independently applied to various ranges of backup data. BitLeap's innovative backup solution has been helping businesses meet complex data backup and recovery requirements since 2004. BitLeap delivers a safe, affordable and easy to use http://www,bitleap.com/backups/ [offsite backup solution __title__ [offsite backup solution-title-offsite backup solution practical for businesses of all sizes. BitLeap's backup technology uses proprietary approaches to data de-duplication, bit-differential analysis, compression and encryption to deliver highly efficient and secure offsite backups. BitLeap's backup solution is hardware-based, allowing customers to efficiently backup and retain their current and desired historic data both locally for quick network recovery and offsite securely to two geographically separated data centers. Richmond, Virginia and Houston, Texas (PRWEB) October 30, 2007 -- Trial Solutions, a market leader in providing single source wholesale litigation support services, On-Demand litigation document hosting and review software, computer forensics, E-Discovery, litigation staffing solutions and trial preparation services announced today that Superior Document Services, one of east coast's premier litigation support services companies, has become a Premier Reseller and will offer the Trial Solutions' Litigation Support Ecosystem™ suite of products to new and existing customers. As a Premier Reseller, Superior Document Services will begin to offer Richmond, Norfolk, Virginia Beach and Washington DC based law firms and corporate legal departments the broad array of advanced litigation services, on-Demand technologies, training and consulting available through the Trial Solutions Litigation Support Ecosystem™. In addition, they will also now have the litigation document processing power of the Trial Solutions' global service provider network to be able to support very large and complex litigation projects with requirements for discovery, collection, translation, imaging and coding across multiple international locations. "We consider Trial Solutions and the associated services, partnerships and technologies they enable us to offer through The Litigation Support Ecosystem™ to be a key competitive advantage to better serve and ultimately expand our client base in the Richmond, Norfolk, Virginia Beach and Washington DC markets," states Kriss Wilson, President of Superior Document Services. Not only will we be able to offer all of the leading edge technologies as may be required throughout the entire case life-cycle, we will also now have the unprecedented world class processing capacity through the Trial Solutions national service provider network for quickly and cost effectively completing large and complex document imaging, coding and translation projects," added Wilson. "We are pleased to welcome Superior Document Services into our Premier Reseller family," states Charles Skamser, Vice President of Business Development for Trial Solutions. "With their long standing reputation for being a leading litigation service provider with some of the most prestigious law firms, corporations, accounting and consulting firms in Richmond, Norfolk, Virginia Beach and Washington DC markets along with their quickly evolving capabilities in computer forensics and electronic data discovery, we believe that together we are well positioned to be a major force in single source litigation services and technology in this market," adds Mr. Skamser. Only three months after Lovaas assumed the leadership of the Young Lawyer Forum's Solo and Small Firm Committee of the Business Law Section of the ABA, he is appointed as Vice Chair of the entire Young Lawyer Forum. Las Vegas, NV (PRWEB) October 30, 2007 -- The American Bar Association comprises the largest association of attorneys in the world and is organized in a system of substantive Sections, Divisions and underlying Committees. At the American Bar Association's 2007 Annual Meeting in San Francisco last August, attorney Aaron Lovaas, a principal in the Las Vegas law firm of Shimon & Lovaas, A Professional Corporation, was named Chair of the Solo and Small Firm Committee of the ABA's Section of Business Law's Young Lawyer Forum (YLF). Now, a mere three months later, Lovaas has been appointed Vice Chair of the entire Young Lawyer Forum, a group of over seven thousand members. The Forum's purpose and mission is to integrate young lawyers into the substantive work of the larger Section of Business Law. While Lovaas' work in the Young Lawyer Forum is a function of the Forum's age criteria (under 40), Lovaas has been practicing law in Nevada for over twelve years. He concentrates his practice in the area of business-related litigation, representing night clubs and entertainment venues, corporations, business owners, banks, construction companies, land developers, insurance companies and individuals from every walk of life. In addition to assuming the position of Vice Chair of the Forum, Lovaas will also moderate a panel discussion at the Spring Meeting of the Section of Business Law in Dallas, Texas, this April. The program will focus on client development within the solo and small firm environment and will be open to attendance by all of the over ten thousand expected to attend the meeting. Lovaas has the distinction of being the first Vice Chair of the Young Lawyer Forum to be directly appointed to the position, rather than working through the traditional and more time consuming track. The appointment required the approval of higher levels of ABA leadership. "Obviously, I am thrilled that I would be appointed to this higher level of leadership in the YLF so soon," remarks Lovaas. "I am excited to represent the Forum and to reach out to its members in helping them achieve their goals within the ABA." LawInfo.com now provides a way in which the public and professionals alike can locate a pre-screened, pre-qualified estate planning lawyer in their area. In an effort to guarantee professional, unparalleled estate planning representation, Lawinfo administers a detailed screening process for probate and estate planning attorneys that verifies state bar admission, peer approval and recommendations, a proven high rate of case and trial success, and no pending disciplinary action. (PRWEB) October 30, 2007 -- LawInfo has expanded its free online national directory to include qualified estate planning lawyers. These attorneys are a part of LawInfo's signature service, the Lead Counsel Program, which provides pre-qualified, pre-screened attorneys, including probate attorneys and living trust attorneys, through a simple, 2-click accessible attorney directory. The Lead Counsel Program has resulted in the enhanced screening of attorneys' credentials and has become a symbol of quality assurance for consumers searching for legal representation. Estate planning is more than simply drafting a will. Good estate planning also minimizes potential taxes and fees and sets up contingency plans to make sure your wishes regarding health care treatment are followed. A good estate plan also coordinates what will happen with your home, your investments, your business, your life insurance, your employee benefits (such as a 401K plan), and other property in the event you become disabled or in the event of your death. It is easy to be lured by advertisements claiming you can save time and money by drafting your own will using do-it-yourself software or fill-in-the-blank will kits. It is unlikely, however, that these systems will generate a suitable will or trust that accomplishes all of your objectives. Only a qualified estate planning attorney, as found through LawInfo's national attorney directory, can interpret the maze of laws bearing on property rights, taxes, living wills, probate and trusts. On the other hand, you can save time and money by thoroughly preparing for a meeting with an estate planning attorney, such as organizing your information regarding your assets, liabilities and title arrangements. Upon meeting with an estate planning attorney, be sure to provide copies of important documents such as previous wills or trusts, powers-of-attorney, life insurance policies, employment benefits, and prenuptial agreements or divorce decrees. The advice and direction of your will and estate trust attorney will be essential to implementing an estate plan that both distributes your assets according to your wishes and meets your other personal objectives. For over a decade, LawInfo's mission has been to assist the public in locating qualified attorneys and legal services. Founded in 1994, LawInfo is recognized nationwide as a leader within the legal community. In addition to listing a national directory in which to locate skilled estate planning lawyers, LawInfo.com also provides the latest legal news, breaking headlines on FDA-mandated recalls for defective drugs and dangerous products and supplies an index of experienced local and national attorneys who are handling such cases. LawInfo.com has also designed a legal resource center that provides a quick and easy way to access free legal forms and documents, research thousands of legal FAQ's, obtain document preparation services and locate legal experts throughout the nation--such as private investigators, bail bondsmen, process servers and paralegals. LawInfo.com also provides marketing packages for attorneys and legal professionals crafted by a team of specialists that integrates web design, content development and internet marketing with targeted traffic-generation tactics. LawInfo is staffed by experienced legal industry professionals and their corporate offices are located in San Marcos, California, just thirty minutes north of San Diego. For more information about Lead Counsel estate planning and probate attorneys, or LawInfo's free legal resource center, call 1-800-397-3743 or visit www.lawinfo.com. Mortgage short sale attorney, Christian N. Folland, Esq., a Florida Bar Certified real estate attorney, concentrates his real estate law practice on helping sellers and buyers negotiate and close short sale transactions. Short sales, where mortgage lenders accept loan payoffs which are less than the amount owed, are popular due to the changing real estate and mortgage lending markets. Miami, FL (PRWEB) October 30, 2007 -- Short Sale Real Estate Attorney in Miami, Florida, Christian N. Folland, Esq, offers specialized legal and closing services for sellers and buyers involved in short sale transactions. Christian N. Folland, Esq., is the owner of the South Florida law firm, Folland & Associates, LC and the Miami title company, South Pointe Title Company. Christian Folland is a Florida Bar Certified real estate attorney, which is the highest level of expertise recognized by the Florida Bar. The definition of short sale or short payoff is when a mortgage lender agrees to accept less than the outstanding loan amount to satisfy the seller's loan. Mortgage short sales have become a common method to assist owners in selling real estate which is appraising much lower than when they purchased the property. Some lenders may accept as much as 25% less than the outstanding loan amount, rather than pay attorney fees and wait for the foreclosure process to be completed. "Short sales are a win-win solution for sellers in distress and savvy buyers in this real estate mortgage market," says Folland, who works with buyers, sellers, Realtors and lenders to negotiate short sale closings. Every situation is different, noted Folland, and each lender has specific requirements for borrowers to qualify for a short sale or short payoff. Borrowers typically must demonstrate financial distress warranting the short sale of a home, and are not allowed to receive any equity out of the property at sale. The short sale of a property requires a buyer, creating opportunities for short sale investors to purchase properties at very reasonable prices. The staff at South Pointe Title Company are experts on short sales and the requirements to qualify, as well as the short sale process. Our Florida title company will assist sellers in completing their short sale applications, document submissions, and draft their sales contracts, which are contingent on the acceptance of the short sale, as well as help them locate experienced Realtors to market their property. 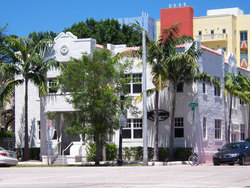 Our Miami real estate attorney will provide a free consultation on foreclosure avoidance and short sale potential. Our real estate attorney and title company staff will work with Realtors to provide the valuation documentation required in the lender's mortgage short sale application. Short sales in real estate take more time than standard real estate transactions with the typical short sale application and negotiation lasting from three to eight weeks. When coordinating and overseeing a short sale transaction, Folland and the staff at South Pointe Title Company communicate with all the parties each step of the way to make sure that the closing occurs smoothly and within both the buyer's and seller's time-lines. Small businesses face a number of legal challenges from employment laws to employee workforce risks. Weekly if not daily, situations arise for small businesses where HR Shared Services would make a huge impact in terms of saving managers and executives time and headache. Achilles Group offers a new report on the benefits of HR Shared Services for small and medium businesses. Houston, TX (PRWEB) October 30, 2007 -- Because small businesses are subject to the same laws and regulations as larger corporations growing companies face many challenges regarding employee related liabilities (hiring and termination practices, discrimination, etc.) and risks from federal and state employment laws (COBRA, FLSA, OSHA, FMLA, etc.). When a small business executive or manager learns about a potential harassment claim or needs to fire an employee, where can they obtain competent and cost effective advice? Number one: Cost minimization via economies of scale, automation, and process improvement (60 percent of companies with Shared Services HR functions improve client satisfaction, staff productivity, and overall quality while achieving cost reductions of 20 to 80 percent in human resources). Number two: Focus allows executives and managers to focus on revenue generating activities – not tactical and administrative people activities. Number three: Proactive compliance to minimize risk related to employees and employment laws. Number four: Access to best-in-class technologies and processes across divisions and geographic locations. Number five: Access to specialized expertise and resources not available internally - owners and executives at most small businesses do not have on-demand access to HR expertise in training, recruiting, employment law, compensation – to list just a few topics – that are available in the Shared Services group of large corporations. HR Shared Services is an increasingly common response to creating efficient operations. A recent study on the factors that drive performance found that working environments with flexible culture and focus on continuous improvement outperformed the competition on average by more than 20 percent. Achilles Group (www.achillesgroup.com) becomes the HR partner for small and mid-sized businesses with 25-2,000 employees. Through a Shared Services model Achilles provides human capital expertise for about half the cost of hiring an internal HR professional. Typical clients include executives looking for an alternative to building an HR department and companies outgrowing their current HR capabilities. Started in 2002, Achilles Group provides strategic HR services in support of business goals for more than 14,000 client employees in over 30 states. New solution to streamline employee performance and talent management across organization. Ottawa, ON (PRWEB) October 30, 2007 -- Halogen Software Inc., the leading provider of Web-based employee performance and talent management software today announced that Vonage has selected Halogen eAppraisal™ with Multi-Rater™. Vonage, a leading provider of digital phone services, is moving to a Web-based system to streamline the appraisal process for HR, managers and employees and focus on delivering top-notch services to its customers. Vonage will be replacing its current paper-based process with the Halogen solution. The new system will ensure consistent appraisals across the organization, with multi-rater functionality addressing the challenges that come with fluid teams led by multiple managers. "The Halogen solution was selected based on its ability to meet our unique needs," said Michael Porta, Director of Human Resources, Vonage. "The new system ensures that our process and forms are standardized, and that our employees receive an accurate assessment of their performance." Vonage has 2.45 million subscriber lines, and serves customers in the United States, Canada and the United Kingdom. The Halogen solution will be used to assess all Vonage employees, from call-center agents to managers. possible for evaluators to easily gather, compile and analyze employee and project data all with effortless, point-and-click ease. The Intelligent Office in Garden City, N.Y. has been voted Long Island's best executive suite company in a poll taken by Long Island Business News. Garden City, NY (PRWEB) October 30, 2007 -- The Intelligent Office in Garden City, New York has been voted Long Island's Best Executive Suite Company in a poll taken by Long Island Business News. The poll identified "Long Island's Best" in a number of categories, with the results will released in the October 26, 2007 issue of Long Island Business News. Long Island Business News provides comprehensive coverage of the Long Island business community on a weekly basis. "We are thrilled and gratified that we have been selected as the "Best of Long Island," said Roger Kahn, owner of Intelligent Office in Garden City. "Our staff is focused on providing the highest level of service to our clients and visitors. It is great that their efforts have been recognized by being named the Best of Long Island. They were really excited when I told them." Intelligent Office provides executive office suites, virtual offices, and remote telephone reception services to a myriad of businesses and professional practices across Long Island. These services help small businesses to improve their image, enhance their efficiency, and increase their profits. Changes to California's expungement law will soon take away the right to expunge a criminal conviction for driving under the influence (DUI) and other driving related convictions. With more than 80 percent of employers doing criminal background checks, finding jobs may get more difficult for the approximately 150,000 people who get convicted for DUI each year. Those with DUI convictions on their record have just two months to expunge their conviction. Costa Mesa, CA (PRWEB) October 30, 2007 -- Millions of Californians who have been convicted of driving under the influence (DUI) have just two more months to exercise their right to have their conviction expunged from their permanent criminal record. Changes to the California law that gives those who successfully complete probation a right to have their criminal convicted dismissed go into affect on January 1, 2008. While violations on a person's Department of Motor Vehicles (DMV) record disappear in time, the criminal conviction stays on a person's record for life -- unless it is expunged. California Assembly Bill 645, which was signed into law by Governor Arnold Schwarzenegger in July, modifies existing law to require those convicted for violating specified vehicle codes to prove to a judge that it is "in the interest of justice to have the conviction expunged." Other common offenses on the specified list are reckless driving and driving on a suspended license. "Those convicted of DUI and the other offenses may have to go through life disclosing that they have a criminal conviction unless they begin the process to expunge their conviction before the new law takes affect," says Higbee. In a post 9-11 economy, where more than 80 percent of employers perform criminal background checks on job applicants, a person's ability to earn a living may depend on their ability to get a criminal conviction expunged. Higbee says RecordGone.com has seen an increase in the number of people with DUI convictions begin the process of expunging their record. "There are a number of people that are aware of the importance of starting to expunge their record, but that number pales in comparison to the number of people who may be stuck with a criminal record for life if they do not apply to expunge their DUI or reckless driving conviction before January 1st of 2008," says Higbee. Mr. M. Sangha of Palm Desert recently had his DUI conviction expunged. "I did not want this mistake to follow me and float over my head like a rain cloud, for the rest of my life. Being able to answer "No" on the application asking if I have ever been convicted of a misdemeanor will truly up my chances of obtaining worthy employment in the future, as well as a boost in my morale," said Sangha. As the Kids and Cars Safety Act goes before Congress, LegalView offers soon to be a soon to be re-tooled auto accident portal with a wealth of automotive injury guidance. Denver, CO (PRWEB) October 29, 2007 -- As the Kids and Cars Safety Act goes before Congress, LegalView offers soon to be a soon to be re-tooled auto accident portal with a wealth of automotive injury guidance. An Arizona toddler was struck and killed by his father's Ford Expedition on Sept. 30th in Queen Creek Arizona. The father believed the child was inside the house at the time. This tragedy points out the importance of a bill currently under debate in the U.S. congress that is designed to address important child automotive safety issues.. The Cameron Gulbransen Kids and Cars Safety Act was introduced in the House and Senate in February 2007. The bill is named after a New York boy who was run over in 2002, and the bill's authors cite a 2002 Centers for Disease Control and Prevention (CDC) study (July 2000-June 2001) that reports that over 9,160 children were treated in hospital emergency rooms due to non-traffic incidents. According to the bill's sponsors and authors, this alarming trend indicates the necessity of legislation more focused on protecting basic child safety around automobiles. The bill, co-sponsored by Sen. John McCain (R-Ariz.), would direct the Secretary of Transportation to establish federal standards on automobile safety devices for children. The debate generated by this bill points out the possible dangers of automobiles for children, and any Americans who may have been negatively affected by a tragic child auto accident may need the advice of an auto accident lawyer to protect themselves and provide recourse against unsafe automotive products. It is always important to have all the current information concerning important child safety and automotive safety issues. It is for this reason that LegalView.com would like to remind readers that it maintains a comprehensive online collection of legal information at its automobile accident information portal, which is offered free to the public. Additionally, to better serve the needs of the American public, LegalView is proud to announce that it will soon be re-launching it auto accident portal with even more information relating to automotive safety, including child safety. The automobile accident portal site revamp will include additions to the collection of original articles, and new posts to the auto accident blog which will focus on child safety. This new content will sit alongside current collections of information on jury verdicts and settlements related to auto accidents, a glossary of auto accident terms, a video library and an attorney referral service to help families and victims get counsel from an experienced auto accident law firm. LegalView.com's free information is not limited to car safety, however. Visitors can browse many other portals addressing issues that are important to contemporary America, including resources to help individuals get in contact with a brain injury lawyer, a mesothelioma law firm, or a construction accident attorney. All of these portals, and LegalView.com's other portals, contain legal resources, basic information, links to useful books and web sites, guides to medical and industry jargon, and more. And those who are interested in speaking to a lawyer can also take advantage of LegalView.com's free online attorney referral service, which matches potential clients with experienced attorneys in their areas of interest. Ten real-life stories of "successfully failed" marriages and the new families that emerged. Divorce has never before been this friendly. Toronto, Ontario (PRWEB) October 29, 2007 -- Many families are touched by divorce, and the stories can be ugly. Anger, blame, and resentment seem to be unavoidable, and children are often caught in between. Reconcilable Differences explores the lives of ten couples who, despite failed marriages, are finding innovative ways to keep their families together. In Reconcilable Differences Cate Cochran interviews rearranged families of all shapes, sizes, and permutations to tell the stories of ten "successfully failed" marriages, including her own. The people we meet in this book are not oddities, but ordinary people from a range of backgrounds. They join a growing number of people who are managing their separations and divorces in innovative ways so that their children aren't caught in the cross fire. They show us that even if romantic love doesn't last forever, the families we create can. Reconcilable Differences challenges us to think differently about relationships, ex-partners, and the meaning of families and parenting. It is a first of its kind, thought-provoking look at how families can be retooled, told by a parent who has lived the experience herself. Author Cate Cochran is a producer and award-winning documentary maker with the Canadian Broadcasting Corporation (CBC) Radio in Toronto. She was creative director for several major Canadian magazines, including Canadian Business, and The Globe and Mail's Report on Business - Canada's largest national newspaper. Cate has been a producer for several shows on CBC Radio, and she now works on The Sunday Edition, a three-hour program of conversation, documentaries and music. Privacy Networks' enterprise-level email archiving is available for organizations looking for an affordable solution to retain, search and archive email. Fort Collins, Colo. (PRWEB) October 29, 2007 -- Privacy Networks, the email solutions company, today announced they have made their industry leading PrivacyVault solution available for free evaluation on secure hosted systems. The hosted evaluation solution allows customers to evaluate PrivacyVault without deploying additional hardware and resources on site. Upon completion of the hosted evaluation, the customer has the choice of deployment of a PrivacyVault solution on an appliance, a hosted service or as standalone software. The hallmark elements of Privacy Networks, including simple implementation, compliance readiness, scalability and affordability are all evidenced in the new service that allows customers to quickly evaluate the fit into their business or organization. The essential business tool used today is email. Email is now the primary delivery and storage method for business documents, attachments, calendar scheduling, collaboration and daily task management. The majority of organizations critical business information is contained within their employees' email in-boxes. Now, more than ever companies are facing the challenge of retaining, searching and archiving this key business asset. Accelerating the need for email archiving is the recent changes to the Federal Rules of Civil Procedure (FRCPs) as well as the expanding State and local regulations regarding open records. All businesses and organizations are now impacted if they cannot retrieve email content in a rapid and simple manner. "Using Privacy Networks' free evaluation allowed us to quickly realize that email archiving was within our reach without having to make disruptive changes to our IT infrastructure," said Andy Carlson, Director of IT, McStain Neighborhoods, "With Privacy Networks' archiving and filtering solutions, we were able to quickly implement an affordable, enterprise-level, email archive solution that allows us to rapidly search our emails for key documents that more than paid for itself in less than a month." Privacy Networks' products are specifically architected to support all the major email platforms (Exchange, Domino and GroupWise) by simplifying the way email is captured, stored, indexed and retrieved. As a result, customers are able to implement a solution quickly and drastically reduce their costs over time. PrivacyVault is an email archiving solution that provides users with a simple search engine for all their email. Finding and retrieving any email or attachment is now as easy as a search on the Internet. Searches can be performed for a single PrivacyVault user retrieving their email or an administrator searching across an entire organizations email. "Our customers place their trust in Privacy Networks to simply and effectively deliver email archiving without disrupting their existing infrastructure," noted Steve Berens, President and CEO of Privacy Networks. "We are excited to offer users this free of charge evaluation service to allow them to see the benefits of our system before making a commitment. Our ability to simply solve our customer's problems is evidenced in our new hosted evaluation service." For more information on this free service, please contact Privacy Networks at www.privacynetworks.com or call 877-224-2339. Privacy Networks provides enterprise-level email archive solutions with mid-market affordability and ease-of-use. The solutions are designed to address the growing need for companies to manage their electronically stored information. Privacy Networks solutions provide email archiving and filtering capabilities that are available as rapid install appliances, hosted services or standalone software. Privately held, Privacy Networks has offices in Louisville and Fort Collins, Colorado. For more information, visit www.privacynetworks.com. nQueue, Inc., announces partnership with NewCal Industries, The two companies have completed implementation of nQueue's Embedded cost recovery solution at Paul, Hanley & Harley, LLP. Phoenix, Ariz. and Pleasant Hill, Calif. (PRWEB) October 29, 2007 -- nQueue, Inc., the leading provider of integrated cost recovery software, announced today its partnership with NewCal Industries, one of the nation's largest resellers of Canon document solutions. The two companies also announced that they have completed the implementation of nQueue's Embedded cost recovery solution at the California-based law firm of Paul, Hanley & Harley, LLP. "We had struggled before to implement hardware-based cost recovery," said Sarah Perry, Information Technology Manager at Paul, Hanley & Harley, LLP. "We are very pleased with our new product, support and training and the implementation went very smoothly." As a plaintiff-only law firm, PH&H had some special requirements that the implementation needed to accommodate, such as importing external transactions from other devices, including a fax server, phone system, and a mail machine. "We are very happy about our new relationship with nQueue," said Steve Tarpley, NewCal's Founder and President. "Not only were we able to please our client, but we were able to do so in an environmentally sensitive way, which is a priority for NewCal. To solve Paul, Hanley & Harley's issues, we utilized a completely software based solution combining Canon, eCopy and nQueue." Because the products are software-based, its clients never need to discard terminals, resulting in better use of landfill space. nQueue's complete and accurate information accountability reports also enable firms to perform more efficiently, saving paper and other consumables. nQueue's clients include more than 150 law firms, who understand the environmental and financial benefits of its solution. "Law firms worldwide are finding a simpler implantation process and environmental advantages, as well as an immediate return-on-investment" said Richard P. Hellers, nQueue's President and Chief Executive Officer. "We look forward to continuing to work with NewCal to educate the marketplace on the advantages of software-based cost recovery." For more information, visit www.nQueue.com or www.NewCal.com. nQueue provides software-based information accountability solutions to assist firms in better managing and accounting for their digital transactions. nQueue offers a complete line of browser-based expense recovery, digital filing and production workflow systems designed to track, manage, report and charge back costs associated with office equipment, web research and administrative services. To learn more about nQueue and nQueue solutions, visit its website at www.nQueue.com. NewCal Industries is the second largest independent Canon Distributor in the West. NewCal was founded in 1991, as a service organization by two former Kodak field engineers. The company specializes in high-end digital printing, scanning and duplication solutions. NewCal has five Bay Area locations with over 150 employees. Since its inception, NEWCAL has grown to keep up with the demand for Document Management, Facilities Management, Photocopying, Imaging and related services. NEWCAL maintains alliances with companies across the nation that enables it to serve its clients almost anywhere. Additionally, NEWCAL has partnered with Document Management software, Systems Integration and Production Imaging software vendors to extend the breadth of services it offers. Heupel Law, P.C. announces the release of new services including free online bankruptcy evaluations, free initial consultations, and payment plans. By offering free features, their clients are able to work towards and gain a fresh financial start. Additionally, Heupel Law is dedicated to answering all of a client's bankruptcy questions accurately. (PRWEB) October 29, 2007 -- Filing bankruptcy is a huge step that can be overwhelming, expensive, and time consuming. Heupel Law, P.C. announces new services and website features including free online bankruptcy evaluations, free initial consultations, and payment plans. Heupel Law is dedicated to providing clients with knowledgeable and accurate answers to all of their bankruptcy questions. The Heupel Law website includes several new features. The free online bankruptcy evaluation is a quick way to get the process started. With easy-to-use applications, their website is a convenient first step to the possibility of filing bankruptcy. The Heupel Law website also includes information about Chapter 7 and 13 bankruptcies and new bankruptcy laws. In addition, Heupel Law offers a free initial consultation to clients. This option allows clients to discover if this is the correct path for them without initiating further debt. A personal bankruptcy lawyer will answer all of the client's questions during this professional consultation. Owner of Heupel Law, P.C., Kevin Heupel, explains, "Our goal is to turn obstacles into opportunities. We understand that there are numerous circumstances that may cause financial problems, including the increase in the foreclosure market. Many people feel that filing bankruptcy is the end of the road. However, bankruptcy isn't the end or a stigma; it's actually the beginning of a new, fresh financial life." As an experienced personal bankruptcy lawyer, Kevin Heupel has developed an affordable way to help those in financial need. Heupel Law provides detailed legal advice on bankruptcy, which entails the planning, determining qualifications, and coordinating the process until completion. Additionally, they offer clients bankruptcy facts including the types of bankruptcy and how to declare bankruptcy. By offering free advice and consultations, Heupel Law allows clients to determine if they should proceed. Knowledgeable with new bankruptcy laws, Heupel Law can answer both Chapter 7 and 13 bankruptcy questions accurately. "We understand that people who are contemplating bankruptcy cannot afford to pay large attorney fees. We offer a free initial consultation, competitive prices, and payment plans to allow people to make an educated decision about their financial future," explains Heupel. 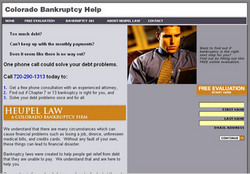 To learn more about filing bankruptcy or for answers to your bankruptcy questions, please visit CoBankruptcyHelp.com. Kevin Heupel has been a licensed attorney for over ten years. He is a former Assistant Attorney General and an experienced bankruptcy attorney. Heupel Law, P.C. is dedicated to wholly serving the community and clients. With a pledge to superior service and personal attention from start to finish, Heupel Law will answer all of the client's questions and provide bankruptcy facts.